The past several weekends have had no short supply of incredible live music, with Saturday's sixth annual Global Citizen Festival continuing the momentum. This year's event takes place today (Sept. 23) in New York City's Central Park, with the festivities kicking off at 4PM EST. Headliners for the daylong affair include Stevie Wonder, Green Day, the Lumineers, the Chainsmokers and The Killers, with special performances from Pharrell Williams, Big Sean, Andra Day and Alessia Cara. For those unfamiliar, Global Citizen is a social action platform that works to help fight for freedom, justice, equality and more, with a commitment to ending extreme poverty across the world. 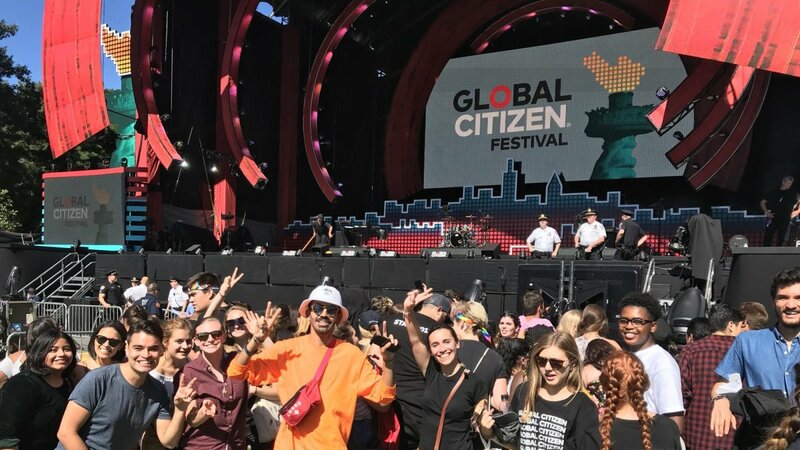 This year's annual Global Citizen week featured over 30 different events organized in line with the group's mission statement and ongoing advocacy efforts, including an event marking the 50th anniversary of Dr. Martin Luther King Jr.'s "Beyond The Dream" poverty speech. Per the organization, world leaders from Nigeria, France, Denmark, Ghana and more came together to make commitments toward helping the world's most vulnerable people. Stream the 2017 Global Citizen Festival below, which will begin broadcasting live at 4PM EST.